Audrey R. Morris – (87) – a resident of Elderwood of Hornell Nursing Facility, died Tuesday afternoon (November 27, 2018) at Rochester General Hospital following a brief illness. Born in North Hornell on February 8, 1931, she was the daughter of Clayton & Gertrude (Roberts) Roe. Audrey grew up in Hornell and was a graduate of Hornell High School (class of 1948). She later earned her Registered Nurse’s License at the Highland Hospital School of Nursing in Rochester..
For over 30 years, Audrey was employed as a Registered Nurse at the Bath VA Medical Center, retiring in 1990 as a supervisor. Throughout the years, Audrey resided in several locations, including Hornell, Cohocton & Florida, moving back to Hornell in the early 1990’s. She was a lifelong member of the First Baptist Church of Hornell where she had served as a member of the Board of Christian Ed. She was a member of the American Baptist Women’s Group (ABW) and was active in Bible Studies as well as other church functions. Audrey enjoyed sewing, crocheting, knitting and reading. She was a member of the National Association of Retired Federal Employees and, in her younger years, served as a Boy Scout Leader. 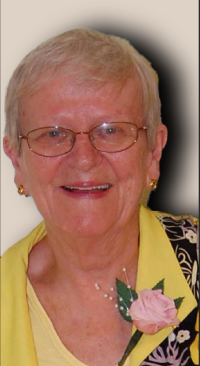 Throughout the years she enjoyed attending her children’s and grandchildren’s school functions and sporting events. She was preceded in death by her son, James Morris who died in 2014 as well as her brothers, Keith Roe & Leroy Roe. Surviving are her son, Joseph (Sharon) Morris of Seffner, FL; her daughter, Kathleen (Richard) Stephens of Canaseraga, NY; 2 sisters, Alma Dunham of Hornell and Carol (Robert) Dickey of Hornell; her sisters-in-law, Dorothy Lee Roe of Canisteo and Janet Roe of Endicott; 3 grandchildren, Kaitlyn (Josh) Eskenazi, Victoria Stephens and James Stephens; 3 great-grandchildren, Cassidy, Harper & Elijah; several nieces & nephews. At Audrey’s request there will be no calling hours. A Memorial Service will be held at the convenience of the family. Audrey’s family request that in lieu of flowers, memorial contributions in her name be made to the First Baptist Church, 28 Church St., Hornell, NY. I worked with Audrey at the VA. Her professionalism and work ethic were exceptional. My sincere condolences to the family.